If you’re a TelOne ADSL customer, then you probably know that TelOne wasn’t enforcing your ADSL package data cap. That is, say you were paying for the US $30 Basic package that has a data cap of 10GB, it was really unlimited; you could literally use 1TB of data if you wanted, without an issue. Well, that honeymoon is over. See, until now, TelOne didn’t have the proper billing system in place to know how much you’d used of your allocated chunk, but starting yesterday all data capping is now being enforced. Along with that change, TelOne is also introducing a prepaid model. From 1 November onwards, users of ADSL will pay for their usage in advance, and when their month expires, (or they exhaust their data allocation) the billing system will automatically have them disconnected. According to TelOne marketing executive we spoke to, they have given ADSL users some grace period of a number of days before the changeover to take effect. The model is nothing new in the market; all other internet providers use this model. The change is unlikely to upset ADSL subscribers much though; even with the data caps being enforced, TelOne provides by far the cheapest fixed broadband locally. The ADSL service was launched last year and since then TelOne has spread it to all the cities in Zimbabwe, but only managed to connect a few thousand customers owing to lacking fixed line infrastructure. Its limited infrastructure means it doesn’t pose much competition to other providers that do wireless broadband. A government owned company, TelOne is Zimbabwe’s sole fixed line operator. The company has closed its fixed line infrastructure to other internet providers and is currently the only one providing new ADSL connections. If anything can resurrect their lost fixed-line revenue, its ADSL. So if they were clever, they would make fixed line installations more efficient and have an ADSL-related,fixed line installation package. People want data. Data is the new butter(on sliced bread-no rhyme intended). 10G is already alot even for the non-casual,media-downloading surfer. Am surprised, cause the honeymon was over ages ago because i personally have been payin for every mb thati surpassed my 10gig cap for about 3-4 months so their billing system has been up and runnin for a while now. Nope. Bill just billed you for the package, not usage. No, they have been billing usage, because i haven’t paid $30 for the basic in ages. I always surpass every month. and your bill showed how much extra MB you’d consumed? I hope their caps and packages will be generous and be at reasonable prices. It will be so sad to see a data hungry yet data deprived Zim succumb yet to another over priced operator. I’ll keep saying this incase one of the big execs of the internet companies reads this: Give us “unlimited” packages upto say 5-10gigs and we’ll just pay for speed. Sure Zol and them do that but which average Zimbo has a $500 dollar lumpsome for the required kit? I’d rather be drawn into a 2year contract with the option to withdraw ofcourse even if it means a penalty or possibly just switch to another provider with the same equipment…kinda like number porting in SA. I got adsl unlimited bt Telone advertise speeds of 2mb of which the max dwnload speed it reaches is 350kbps..so can sme1 @ Telone pliz explain this..everytime i raise a voice they come up with funny excuses!! When did Tel-One notify their subscribers of this? We have received NOTHING from them – and it seems as though the pre-paid system is up and running because when I connected to the internet today, through ADSL, I got a login screen that was never there before! Also, we are on the Platinum uncapped package, so doesn’t that mean UNCAPPED, and you can download as much as you like?? Also, for it to happen on a Sunday, when you can’t get hold of tel-one to find out what is going on, is off-sides! Does any one know what we have to do in order to be back in business tomorrow? Why are people mad, that they signed up for a capped service or the fact that the capping is being enforced. notified or not before hand, no one has any grounds to be mad or are they owed an explanation for being capped. Today I had the worst customer service experience………………though going there to rectify my account which had been blocked without warning over the weekend due to the change-over I was expecting poor service but i guess they chose to out-do themselves today. Waited in a queue for an hour before being served (they had to type up some document first with my ADSL details and billing info) then you have to proceed downstairs to the banking hall to another queue to settle you previous account aaaaaand then make your pre-payment. If that wasnt enough you then have to go back upstairs to show them your proof of the pre-payment so that they can re-activate your account and give you your login and password info for you to finalllllllllly get access. Time taken to do this……………………..2 hrs. I feel that data capping is something that fixed broadband operators are enforcing across Africa and I don’t know why! Here in Ghana, Vodafone, the only fixed broadband ADSL provider has decided to cap broadband data usage to 15GB for already prepaid GHC 65 (US$35). The intended action is to take place 28 Nov for new subscribers and mid December for existing ones. There has not been any media event to announce the new action, just text messages to customer, nothing more. What a good PR action? Funny enough, their website talked about “unlimited” downloads upon signing up but now Vodafone’s throwing about their weight because they ar the only fixed ADSL providers around just like TelOne in your case. Sometimes, I feel like these companies do stuff just because they can do it. You can see from the tone of the article that the writer has either been “encouraged” to write the article in a way to favour the company (TelOne) as being “the cheapest fixed ADSL” and that “all others use the same business model” and so on without any reference to the view of subscribers and the inconvenience that this action any bring to them. It is also funny that whereas elsewhere in Europe, data is becoming cheaper and with USD$30, one can actually get truly unlimited data plus cable TV subscription with 50+ channels, the ISPs here in Africa are rather going backwards by limiting us and charging us more. 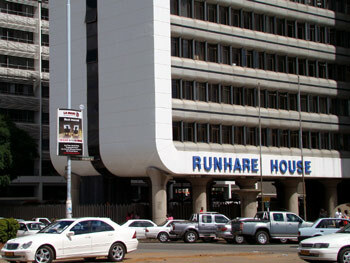 What is the problem, Bulawayo branch was helpful and friendly,well done on your excellent service.. Thank you telone and adsl. This is just to cheat people. I went to their Bulawayo office and they want me to bring receipts from last year in July when I started paying for my BASIC service. I was told I owe $300!! That means for the past 15 months I have only paid 5 times!! And I have 6 receipts in my office desk and there are others at home. I am going to look for other prepaid service providers in case Tel One has forgotten it is no longer the only player!